Are you using any online Grammar checker tools for your content writing? Do you want to be a professional blogger? Not able to make perfect resumes in English. Are you using any online Grammar Checker Tools? Don’t want to make any grammatical or spelling mistakes. Want to proofread your post before publishing it? If, yes then you can write extremely well, without making any spelling or grammatical errors. As English may not be the first language of many bloggers or anyone around the world, so here are some amazing tools which will help you to detect and correct your spelling and grammatical mistakes. Even I use these tools to make my articles awesome because English is my third language. So if English is your second or third language, then I recommend you to use these online grammar checker tools. 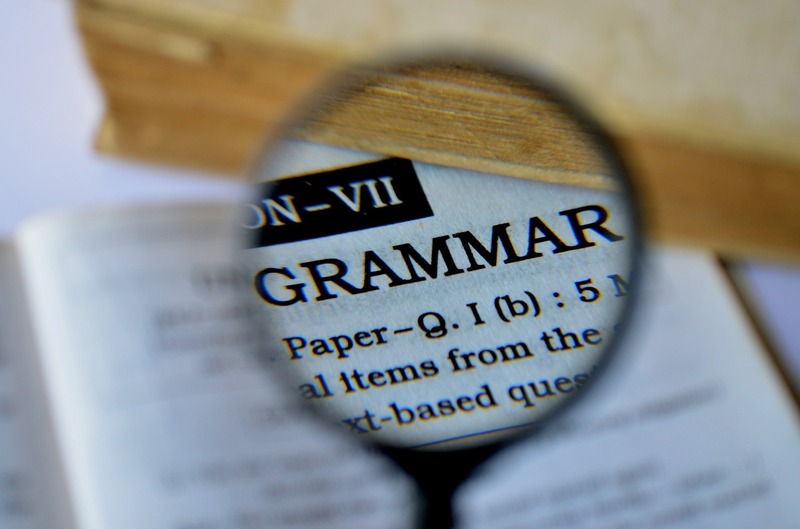 Trust me; these online grammar checker tools will help you overcome even your minor mistakes. And also the plagiarism checker for students is an amazing tool. Writing a post which is unique, have no spelling errors, and grammatical mistakes will be considered an excellent Post according to the SEO Guides. So, use these tools to overcome Google penalties. If you continually type your essays, you may find that your grammar and spelling has become lax – typing can make you a lazy writer. EduBirdie can help your laziness and allows you to do your work without worrying about spelling. It can also help improve your grammar too – you can look at trends that it picks up and remember them for future writing. To use the checker is easy – simply copy and paste your text into the box and it will scan the words in no time at all. You can then click on the underlined words and see what the suggestion is and what it can be changed too – very straightforward. It splits the errors down into different groups too like punctuation, grammar, spelling and sentence structure. The premium version of a free grammar checker is also amazing – it has features like a plagiarism checker and a tool that can improve your vocabulary. It is one of the best online grammar checker tools I have ever used. It will help you to make corrections with the punctuations, sentences and incorrect spelling. Grammarly mainly has four products which can be used for free and these products are “Spell check,” “Plagiarism Checker,” “Proofreading,” “MSOffice Add-on.” You can visit Grammarly’s website to learn more about it, and even they provide some easy video tutorials which can make the difference for you. You can upgrade the Grammarly tool to get some extra help. Moreover, you can use it on your windows, Microsoft office and even online with browsers extensions. It works like other online grammar checker tools. Using it, you can check the grammar and spelling mistakes. It provides the features of Custom dictionaries, multiple language support, and thesaurus for the English, Grammar checker, and customized user interface. And also, it can be used with any CMS, text editors, TinyMCE, CKEditor, and website. You can also try its premium features for 30-days trial. In the trial version you will get the full Features of the software, and after that, you can upgrade it for paying a little money. Another tool that works with multiple languages. This online grammar checker tool works with English, Spanish, French, Danish, Italian, Suomi, Dutch, German, Polish, and Swedish. Spell Check online is the easiest way to make correction your document, as it works like MS Office. Is 100% free, that is what the Paper Rater claims, and it really is? It’s a free tool to check Grammar. The tool not only provides grammar checking features but also help with writing by providing editorial suggestions. It also has plagiarism checker tool, but that is for premium members only. Online Correction is really a good one because it has some extraordinary features. Like it checks the grammar and spelling but except that we can also check the mistakes in American English, British English, New Zealand English, South African English and Australian English. Moreover, you can make the text correction in 7 other languages. So, go ahead and try this fantastic tool. Is one of the advanced online grammar checker tools. This online tool has the capability to check Grammar sentences and punctuation. And also, explains how and why you have made a mistake. You can also change the format while writing which makes this tool more advanced than any other online grammar checker tool. The Ginger software is one of the most used tool worldwide which can help you to write correctly. It has many features including Grammar checker, sentence Rephraser, translation, dictionary, text reader and personal trainer. The tool is available on a different platform like windows, browsers, Android, IOS, and Mac. Language tool is entirely free and open source proofreading tool which can make your writing easy and without errors. It works with 24 different languages and six different accents. You can work with six English accents namely American, Canadian, Australian, South African and British. Spell check plus is an online grammar checker tool which is simple and easy to use. The tool provides two services only, and that is spelling and grammar checking. It represents the Red Color to make corrections to the spellings and yellow color to fix the grammar errors. Analyze the expert is not a tool, but I want to add this to my list because of the fantastic services they provide. Here actually you submit your written post or page, and analyzer checks it manually and makes the corrections. They are expert in formatting, styling, and grammar checking. They are also cost-effective; you just have to pay a few dollars for the getting the corrections done. It is a very useful tool, what you needed to do here is just write or copy the content in the white box which appears as soon as you open the website. After doing this click on the check button above the box, you will get underlined words where you need to make corrections. If you are struggling to write long sentences, then this app is perfect for you. It identifies hard and the long sentences which sometimes make no sense and helps you make sense in that sentence. You can use this tool instantly by opening their site only, whether you write or copy the content, it will help you to make your sentences understandable. I wouldn’t have shared this tool, but I thought this tool is also important because it won’t check any grammatical or spelling mistakes, but it will test the readability score of your content which is also important. SEO by Yoast, the ultimate SEO plugin also gives you a reminder about the readability score. So, it is a valuable tool which can be used for better ranking. Also if you’re not able to access any tool just because of country restriction, do not worry. I use VPN servers to access websites even if it is restricted in my country. There might be many more tools or websites available on the internet, but these Fourteen tools have helped me and are good to use. I highly recommend these tools because most of these are free and good enough to use. And if you think that there is any other tool which is good enough, and I have not mentioned, then please take your time and tell us in the comments. Thanks for this wonderful post herein. I love to write error free contents and publish to my readers. I love using grammarly but will soon check others. Have a nice week bro. Helpful! I will link to you in my next tool’s post. By the way, I linked to you in my Medium article. You see the headline below in the Comment Love section. Thank you Janice for the comment and post. Nice article dude this is very helpful post…. Grammarly is my favorite and the best among all of these. Those are some great tools to help with plagiarism and such issues. I have been using Grammarly for quite some time and happy with it. It’s also good to learn about those others. Will try them out. Thanks for putting together these great tools. I use Grammarly quite often when I get stuck writing something. It’s so quick and easy. I like the language tool also because I do try to write without using slang for my international readers. Glad it was helpful. And I have been using Grammarly to get rid of spelling errors and grammatical mistakes for my writing. Its really a great tool. This list is awesome – and critically important to bloggers and writers. Personally, I am a writer and Grammarly in particular has been of immense help to me when it comes to spell checking and editing – especially the mistakes that miss the eyes. I’ll try the other options and see too if they compare to the almighty Grammarly. Thanks for stopping and sharing your views. Give a try to ginger grammar checker. Well. This is the most asked question by newbies. The sentence structure check is something basic, and at the same time it’s pretty hard for the most. And to help it out, there is no way but, only study more about their grammar structure by reading related books, watch educational videos on youtube, and the most important is, they need to read more every day to understand how a sentence structure is made. It’s not that hard though, it only requires practice. Language, especially as second language is always problematic. Sometimes a sentence may mean completely different than what was intended due to minor grammatical mistake. Moreover, English is truly crazy language. and the meaning is कुत्ता itself. Wonder why English made so crazy. Hahahaa… jokes apart. But you’ve listed some truly useful tools and it’s good to consult them before you publish your posts. I personally use Grammarly and think it’s the best among all the tools. By the way, thanks for mentioning some other tools. Currently, I’m using Grammarly and it’s working great. It helps me a lot of improve my English as well as helps me to fix grammar errors. Nice grammar checking tools here, appreciated. I am glad that find my blog good enough and bookmarked. Stay tuned for further updates. Wonderful collection there Robin. Students and proofreaders will love this tools. Their work will become easy from now on. Thanks for sharing this. Grammarly is the best tools for plagiarism or grammar checking but many time I faced problem into plagiarism checking..
Grammarly is best at checking grammar. But the Tool that is best for checking Plagiarism checker is Smallseotools.com, I am sure using that you will not face any problem. Today while browsing thru the net on a curated site I found this and am here. This is indeed a great list, And worried, you mentioned a good number of tools to check but is it possible or need to use all the tools or is there any difference we make checking with one after the other,! if that is the case that itself will be a time consuming job right? I used Ginger for some time and presently i found Grammarly is a bet option. I have listed the tools so that one doesn’t like the one tool could switch to the other. Although, Grammarly is a great help and I always use it for improving my writing. And You to have a good day. I am fan of Grammarly, I use them over all of my apps. Also Since grammar is very important in SEO, this tool has became vital now. Grammarly PRO provides deep corrections and they are extremely necessary if you want to rank high on Google. My students will love this article. Thanks! As a teacher I really appreciate your effort it’s an awesome feature for fixing your grammar issues and one thing Grammarly has chrome browser extension it’s very useful when you writing the post/article it shows you your mistakes and correction.